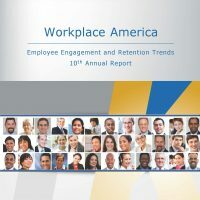 The 13th annual Workplace America report of employee engagement and retention trends, the longest continuously running study of engagement and retention in the US. 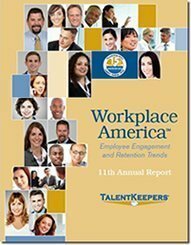 Over 550 organizations participated for 2017, with 54% employing over 1,000 employees. This report summarizes key findings on trends and tactics organizations are using with success to increase employee engagement. Employee engagement is gaining respect as a key strategy for many organizations. For four years running, over 70% of US employers rank employee engagement as a strategic priority. Yet the number of organizations rating themselves as very effective in engaging employees dropped from 35% in 2016 to just 27% in 2017. This is a surprisingly large gap given the consequences of poor engagement. Five key lessons/priorities that will help you boost engagement and reduce unwanted turnover!